Whether you’ve thought about your water options or not, students and staff will be drinking water throughout their time at school. Worst case scenario; they’re drinking unfiltered tap water that leaves them with a bad taste in their mouth and, in the case of children, doesn’t encourage them to properly hydrate. Young people live in a world where it is often cheaper to purchase a syrupy frozen drink from a convenience store than a bottle of water. So if schools want to promote the hydrating and healthy benefits of water, it needs to be a conscious effort. Cost aside, if a child wants to fill up their water bottle from the school bubbler or tap, how does it taste? Metallic, warm water is going to be off-putting to most people and the last thing a school should want is its students trying not to drink the on-site water. Hydration is absolutely critical to optimise learning and performance. A study conducted by Ghetti, S. et al. tested the hypothesis that “changes in hydration status throughout the day may affect cognitive performance with implications for learning success in the classroom”. The study was published in academic journal, Appetite, in an article titled ‘Hydration status moderates the effects of drinking water on children’s cognitive performance’. 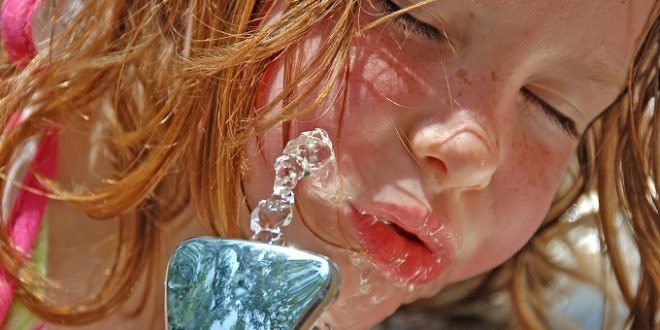 The study involved 52 children aged between nine and 12 years, and tested the following hypothesis: ‘does the benefit of drinking water on working memory and attention depends upon children’s hydration status throughout the day’. It seems that it does. The results suggested that “focusing on adequate hydration over time may be key for cognitive enhancement”. The study also found that “changes in hydration status throughout the day may affect cognitive performance”. 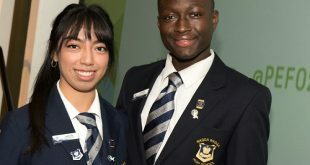 While the study was conducted with children, the implications are clear for the entire school community. Adequate hydration is vital to ensure students and teachers give their brains the best chance of succeeding at the important work of teaching and learning, and the best way to hydrate is with water. What are some of the drinking water options available? The simplest form of water to take care of in any workplace environment is boiling: you need to make sure your teachers, staff, and, in some cases, older high school students can make themselves hot drinks. A decent kettle and safe in-room space to boil and pour should suffice, although there are more technologically advanced staffroom options out there such as combined hot and cold water fountains. Ambient water is best served filtered, and this too can come in a variety of forms. In a main lobby, for example, where prospective parents and visitors will be arriving you can set some attractive jugs or beakers next to stacks of reusable cups on the reception desk or near a seating area. This too is a good option for the school sick bay and/or cafeteria to encourage hydration amongst the student body. On that note, make sure that fresh water is accessible between break and lunch times. Bubblers and water fountains are terrific public area solutions because they provide filtered water access to all students, visitors and staff. Classroom or on-campus bubblers can easily be stocked with water filters and even coolers if they are located outdoors and summer is looming. 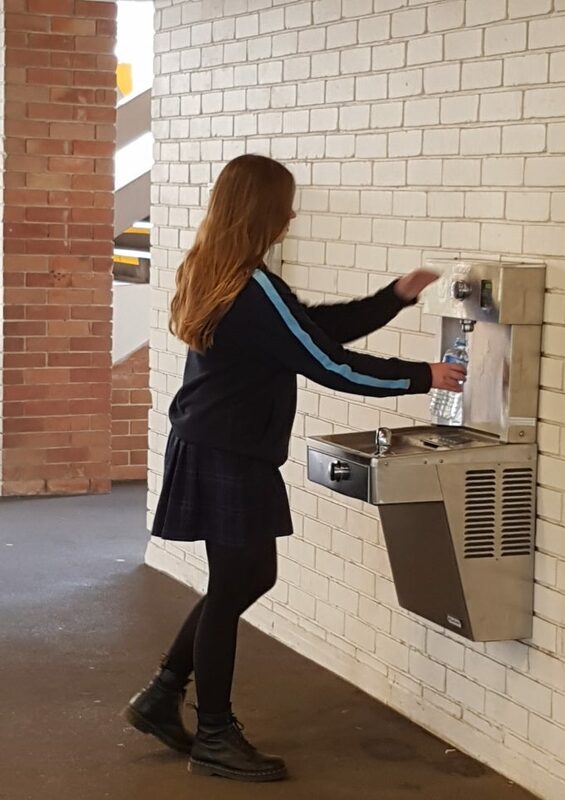 While bubblers and water fountains are dotted over most school grounds, but teachers don’t always have time to seek them out, nor the desire to bend at the waist to take a drink amidst a robust game of ‘tiggy’. Bottled water requires a responsible approach, against the backdrop of the worldwide push against its use, while cities and institutions are banning the sale of bottle water outright, with mixed success. A research paper titled ‘The Unintended Consequences of Changes in Beverage Options’, published in the American Journal of Public Health found a total ban at The University of Vermont actually increased the number of bottles being thrown out. People just drank more sugary beverages – and consumers tend to reuse water bottles, but discard soft drink bottles. Perhaps this means focussing on the bottle itself is advised. What is going to happen to those bottles after use, and what sort of care is being taken in their production? Making sure you have an effective recycling system inside your school is essential to minimise your carbon footprint. Remember that not all students will prioritise recycling, so it’s part of your job as principals and teachers to educate your pupils as best you can on the importance of recycling etiquette – which is something many schools have taken on as part of their curriculum. Many plastic containers are now available BPA-free. BPA stands for bisphenol A, which is a chemical that has been used in the industrial production of plastics and resins since the 1960s, and can leach into food or beverages from containers. Open a conversation within your school community to find out about the BPA content of their water bottles. While glass bottles and even cardboard cartons are some of the many alternatives out there, they aren’t always the most practical for a school setting. The best bet is to open a discussion within your school community to find out what the prevailing consensus is, and talk to a range of suppliers about the different products on offer in your area and how they can best match the ethos of your school.